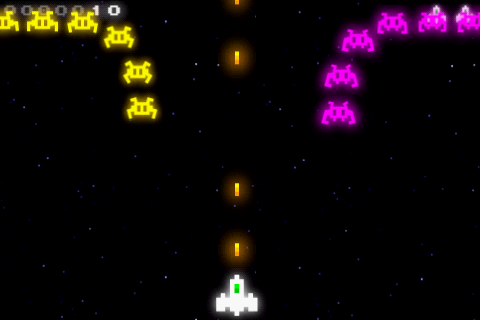 Radiant is a Space Invaders clone made for the Android phone. Up to now not a single space shooter game has had decent controls. Is Radiant a step in the right direction? Buka and Totemo are examples of two great games developed by the guys at Hexage. Now it’s time to see if Radiant makes the cut in our test! 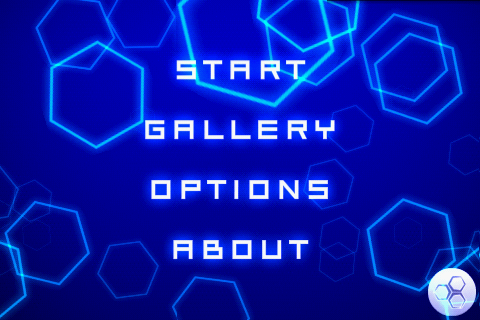 Radiant is an outer space shooter similar to the classic Space Invaders. The graphics are modern, yet still appealing in a unique nostalgic way. The best part about Radiant is the controls. 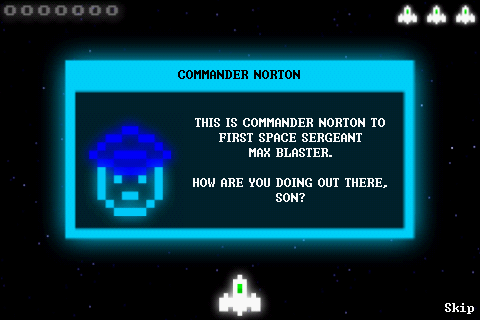 For once we’ve got a space shooter that works well on Android phones. Although it is possible to control Radiant using the touch screen, the trackball is preferable without a doubt. Radiant is the first Space Invacers wannabe that is actually a ton of fun to play. The highscores are stored online. You can adjust music and sound volume in your options – and nothing aside from that. At the start of your game, a short background story is told with small text bubbles. If you find the story boring, you can always quickly click through the talking and get right down to actually playing. You’ll notice how great it is to play Radiant using the trackball. Works like a charm! You can also move your spaceship around with the touchscreen by pressing to the left or right of the screen with your thumbs. 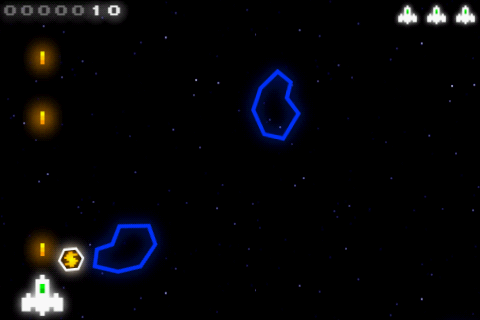 At the beginning of the game, you have to fight through an asteroid field. Shoot the asteroids to destroy them. Larger asteroids take more shots to disintegrate. Firing is automatic, so you don’t have worry about pressing the shoot button. Your first encounter with your real enemies will definitely be a bit nostalgic for those of you that remember the “good old days”. The graphics are both modern and “old” at the same time. Radiant also did a nice job with the sounds and music. 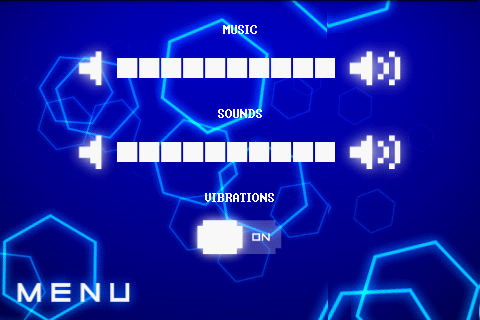 The game’s concept is about as simple as it gets: protect the earth from alien invaders. Along the way, you’ll run into different types of enemies. Collect power-ups along the way to help protect our planet. Same old classic gameplay in a more modern setting. Finally a space shooter that’s actually fun to play! A total must-have for all you Space Invaders fans out there. Radiant runs seamlessly. Depending on your phone, Radiant may jerk around at times because of its good graphics. Radiant is available for 1.50 GBP from the Android Market. Radiant Lite is available for free from the Android Market. Space invaders we've got to go forward to go backwards and across. old school to the core - love it!